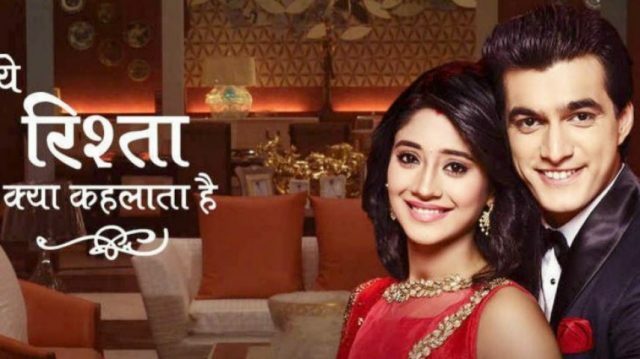 In the latest episode of Yeh Rishta Kya Kehlata Hai 19th November 2018, Kartik and Naira both try to trap Samarth but Samarth succeeds to destroy their plan. The today’s update of the Tv serial begins with as Akhilesh tries to pull Luv-Kush away from the Kartika-Naira, Suhasini gives him a tight slap. To say this all are get shocked. Because of this, she gets very angry. She said that the house, ornaments belong to him but his kids no more belong to him but he cannot see that. She asks him that why he is looking blindly at all that. She asks him that to not ruin everything by being shameless. She asks him to do the venerations for dhanteras, celebrates the festival of light that is Diwali and decorates his wife with ornaments. She asks to all that to come with her inside and then leave to Akhilesh alone. Luv-Kush also goes along with them. Samarth fuels to Akhilesh by saying that it was not expected by Suhasini as both the sons should be the same for her. Akhilesh is too emotional. Samarth further says to him that Kartik and Naira both are using the Luv-Kush against him. Suhasini cries a lot. She blames to herself for not upbringing her sons properly and she should have died instead of seeing this day. Suwarna was trying to console him and make her calm. Manish also asks Suhasini not to blame to herself as everything will be fine and there is no need to do any kind of stress. Luv-Kush also makes her understand his mistake and he will apologize to her. Suhasini hugs the kids very tightly and she loves them. Naira and Kartik both see that from outside the room. Naira said to Kartik that they need to find out the fact because of which Samarth is taking the revenge. He was doing all this only for his benefits.